For bringing benefit to the Brooklyn community, Brooklyn Music House was established in summer of 2004 in Bath Beach, which is surrounded by a nice neighborhood and convenient transportation. The newly renovated building with central air conditioning and brand-new pianos for teaching provides students with a wonderful music-learning environment. 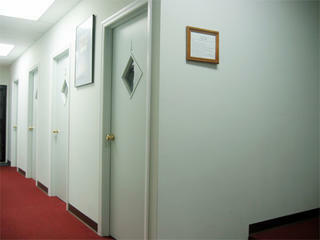 In 2012, our company has been through a difficult time due to the ending of our lease, the parents received rumors earlier for saying the ending of our business, and our school was forced out from Bath Avenue by legal letters within a short period of time; and the current location has became another music center just like us in the past and operated by the house owner thenselves. Luckily in September 2012, within a short period, Mr. Chan found an ideal location to keep the school running without being cut off. The school was then moved to a newly renovated site on 18th Avenue and 86th Street, nearby the subway station. Thanks to the supports from the remaining parents and our majority teachers and staffs, we were able to rebuild. To that we and I felt grateful, and blessed, and I believe that the force made us united and strong, and I also believe that the company is walking toward a even better future afterward. Within two years, in 2014, also in our 10-years anniversary time to finding our school in Bensonhurst, Brooklyn, Mr. Chan found a second school site on 20th Aveuenue, in order to serve the continue demand and the need in our community. The school is now extended further out to reach more families in District 20. Our outstanding faculty members all hold advanced degrees from the world's finest conservatories and universities, and many of them also maintain active and excellent performance careers, so they can offer students not only the musical technique but also an insight into the art of performance. 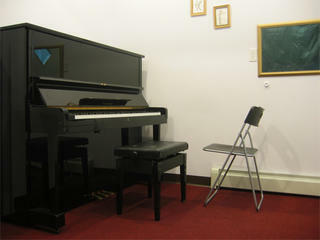 Since 2004, Brooklyn Music House was the Only Examination Ceter for the Royal School of Music (ABRSM) in Brooklyn area. Today, we're still the Main authorized Examination center offering ABRSM Exam two times a years for our students, and as well as for the teachers and the students in Brooklyn area. It shows that there are incresing numbers of the students taking the Music Exams every year at our center. We dedicated to bringing the benefits of music education to the local community, to foster children on individual skill development, and cultivate their capacity for life-long music learning; and we believe that everyone and all-ages will receive benefits through learning music in their lives. It's our commitment and our mission to serve the community with its continuous growth and needs in your neighborhood.